The site – with a total area of 6810 sqm – is located in Ramlet El-Baida, on an island surrounded by 4 roads facing the Mediterranean sea, in a residential neighborhood. The natural topography of the site slopes 18m down towards the sea. In an attempt to preserve the natural terrain, a series of 3 platforms was created, connected through ramps. These ramps act as a labyrinth linking the different platforms, and providing a smooth promenade for the pedestrians through the whole garden. A U-shape green belt encloses the garden from its surrounding high-rise buildings, opening towards the sea view. The garden is accessible from 3 points. In the lower part, a ramp leads to 2 levels of underground parking that accommodate 87 cars. Each platform is unique in function, designed for a specific group of people. 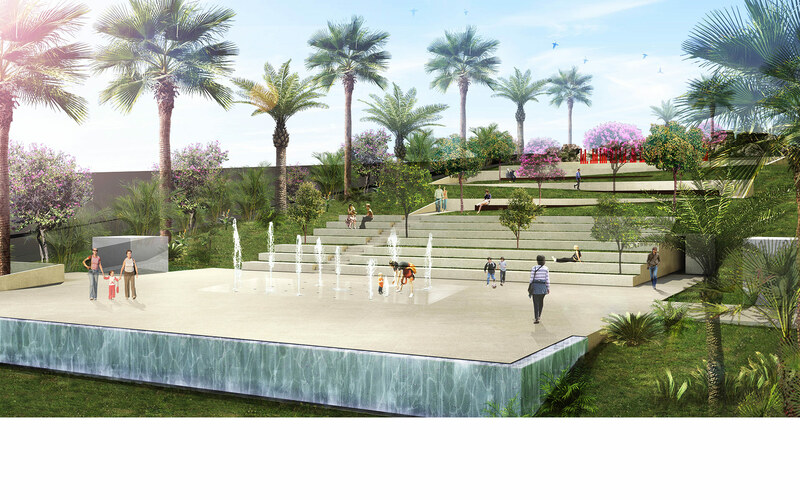 They range from kids playgrounds, seating areas, an exhibition space, a central piazza and an amphitheater. The central piazza connects 2 access points, placed on parallel streets, acting as a junction to provide a public urban continuity through the garden. 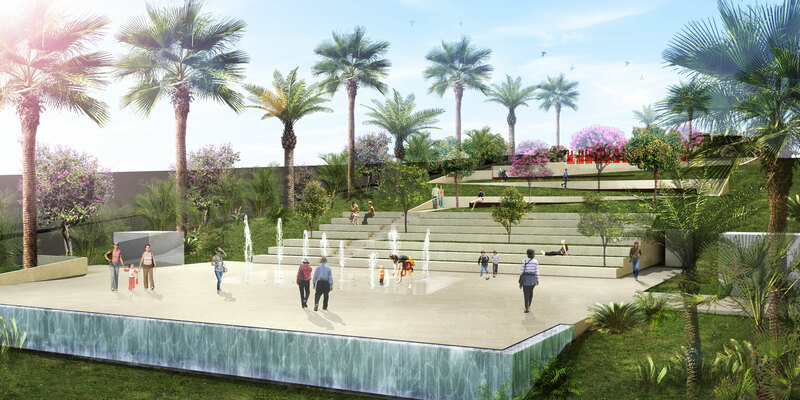 It is designed around a water feature, intended to host future events. A second feature creates a waterfall effect at the edge of the piazza. At the top-most platform, an exhibition area is located adjacent to a rocky landscape, accommodating the work of local artists at the heart of Beirut’s public life. 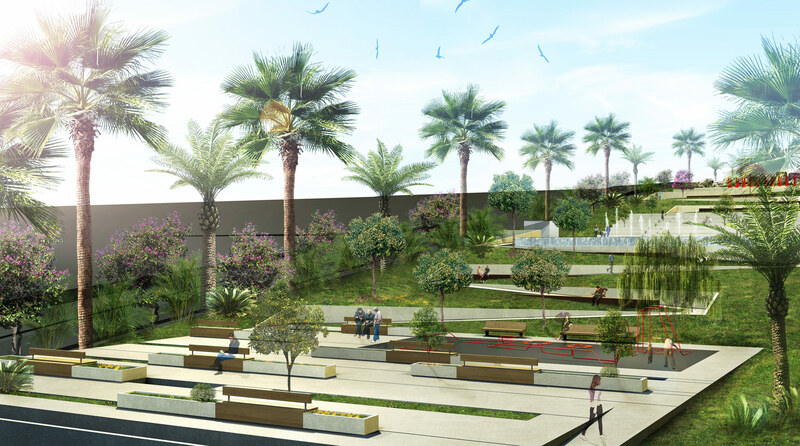 In order to preserve the “green get-away within the city” aspect of the site, the garden consists of 30% solid surfaces (the platforms) and 70% green areas. These platforms are embedded in the heart of the vegetation, concentrating the soft scape on the periphery. Specific types of trees were carefully selected to blend with the existing, conserved trees. Some trees penetrate the platforms to provide shading to the seating area.